That Video Guy, Allan Goldberg, has been used by countless clients for capturing their special events. This man has filmed mitzvah events, weddings, and so much more. His least expensive wedding package starts at $950 for 6 hours of shooting resulting in a completely edited wedding film that you will cherish for the rest of your lives. This affordable rate is unheard of when you consider the talent of this professional, which is why couples reserve him as soon as they get engaged to ensure they have the very top videographer. 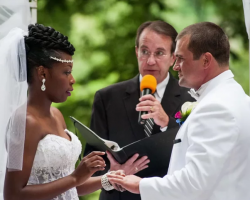 Alex Video Productions offers a stress-free working relationship for clients so they can enjoy their big day while letting this videographer worry about getting the perfect shots. The list of packages outlines the varying number of hours and cameras for each option, with the biggest package including two videographers, four cameras, and eight hours of coverage. This may seem like a lot of time and equipment, but there is only once chance to capture the spirit and romance of your big day so you want someone who won’t miss a thing. It is important that you trust the people who will be capturing your wedding day as they only have one chance to get the perfect shots. Janis Productions works with clients to make them feel comfortable with their talents and trust them to produce a wedding video that they can cherish for the rest of their lives. 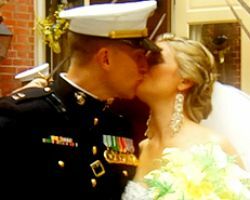 As Baltimore wedding videographers, this company is not only talented behind the camera, but has talents that have been specifically suited to shoot wedding ceremonies and receptions. Bella Pictures is a photography and videography company that believes two is better than one when it comes to capturing your big day. This means that in all of their packages, they will provide two professional videographers. This better allows the team to capture your big day, ensuring they do not miss a single smile, laugh, or tear. Reviews of this company rave about the style of the films the company produces claiming that they are always artful but also reflective of the couple and their Maryland wedding day. A wedding videographer can allow you a perspective to your big day that simply cannot be captured by photography. The video allows you to see the movement of the bride’s gown, the growing smile on the groom’s face when he sees her and so much more. With packages starting at the price of $799 for 4 hours of coverage and editing, couples all over Maryland can afford the price of Cedarrock Wedding Cinema. Book early to ensure that you can reserve this talented company to capture the most important day of your life. John Rose, the owner and founder of John Rose Videography, has been capturing weddings and special events for over 10 years. In this time, he has been able to perfect his techniques and learn the new industry trends to give his clients the best quality films. 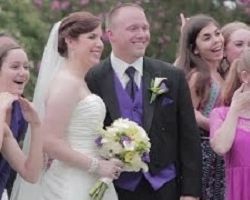 As a wedding videographer in Baltimore, MD, John is familiar with many area vendors and venues and can plan to take beautiful images at any location. Famous for his personalized care and for having incredible talent, you will certainly be in good hands. LV Productions provides a personalized touch to everything they do. From the initial consultation to the angles they choose, to the final film, you will be left with video that you love that is customized to your style and event. Your wedding day is a story and they are dedicated to telling that story and making it come to life on film. The highlight reel they provide will allow you and your family members to relive the best and most precious moments of your big day. KHPRO Events is a team of wedding experts that is capable of handling any aspect of your wedding with elegance and class. The wedding videographers at this company are the best in the business. They offer their talents to all, designing packages to suit any budget so everyone can have the most beautiful wedding video possible. They will begin editing your wedding film together the same day as the event so you will have a film in your hands soon after the honeymoon.